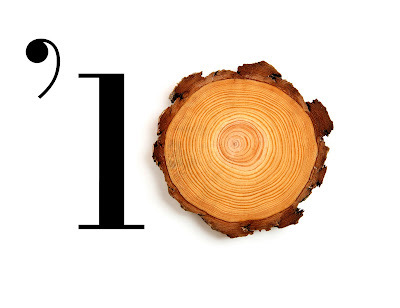 from a piece designed for an environmental firm’s ten-year anniversary. Each of a tree’s rings signifies a year of growth. The gap between is sometimes large, sometimes small, and many times hard to discern — click on it to enlarge — and try to count the first ten years.